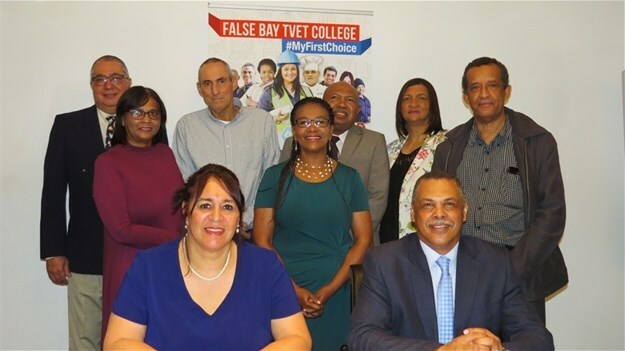 On Wednesday, 5 December 2018, a Memorandum of Understanding was signed between the Western Cape Community Education and Training College (WCCETC) and False Bay TVET College. This represents an unprecedented partnership agreement and an ongoing commitment to make education and training more accessible in the communities who need it most. The two institutions expressed their intention to cooperate within the scope of their mandates and sphere of competences to work with youth and adults, towards basic and further education free from discrimination. Changing macro environments and growing socio-economic challenges have had adverse effects on the youth of South Africa. Sadly, households below the poverty line may require children to leave school after grade 9, to assume the role of breadwinner in employment paths with zero prospects. There are over 30,4 million South Africans living in poverty (Stats SA 2015). Growing up in poverty is one of the greatest threats to healthy childhood development, often resulting in youth choosing a life of crime as a more attractive alternative. In addition, young adults are distracted by short term gratification and impulsive decision making to only be left with crippling consequences. The Western Cape Community Education and Training College are targeted at these post-school youth and adults who wish to build a foundation for further learning, improve their skills for employability and/or progression to opportunities in the TVET colleges and university education. With a more mature approach to education and learning, the Community Colleges will provide an opportunity to youth and adults to complete their Senior Certificate curriculum, even if already employed. The WCCETC is in dialogue with youth and adults seeking to complete or further their basic education. Bridging the gaps within the education system offering, WCCETC Principal, Mr Spencer Tonkin approached False Bay TVET College Acting Principal, Ms Karin Hendricks with a proposal for further collaboration with the prospect of the College acting as a feeder College for the WCCETC graduates. 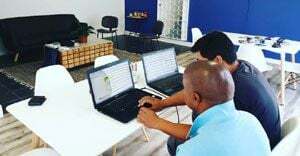 With an estimate of 3.1 million illiterate adults in South Africa, the General Education and Training Certificate (GETC), is a formal qualification offered under the guidance of the Western Cape Community Education and Training College (WCCETC). The WCCETC works with Community Learning Centres to deliver training to help a young person or adult who would like to complete their formal education or improve their basic education by being equipped in reading, writing and numeracy skills. Once the learner has completed their Grade 9 GETC Certificate with WCCETC, they are then able to enrol and further their training options and attain a National Certificate (Vocational) NC(V) Level 2-4 which is equivalent to a Grade 12 Certificate upon completion with False Bay TVET College. “False Bay TVET College is excited to collaborate with the WCCETC. The College has made huge inroads since its inception through the provision and maintenance of state of the art facilities and providing accredited education programmes. The formalising of the partnership between the two institutions is a first in the Province and will facilitate greater access to training opportunities to the communities they serve.” said Acting Principal Karin Hendricks. Roshin Schmidt is the Marketing Officer at False Bay TVET College.